All the lanyards featured on this blog have been custom handmade (by myself) for my customers. Should you be interested in anyone of these designs or have an idea that you would like me to create, please feel free to contact me. This is a nice combo, its the thicker 3/16th shockcord in coyote brown with the 1/16th outer stitching in OD. 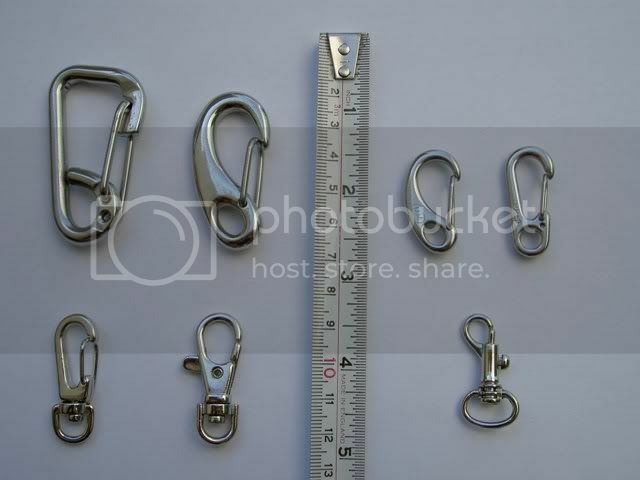 It has the small swivel clips at each end. This was my first attempt to add the 1/16th outer stitching (foliage green) to the thinner 1/8th shock cord (in black). It features an Atwood bottlebug, with a small McGizmo clip on the other end. This is the thicker mil-spec shockcord with a 1/16th outer stitching, it can stretch to 90-110% its normal length. 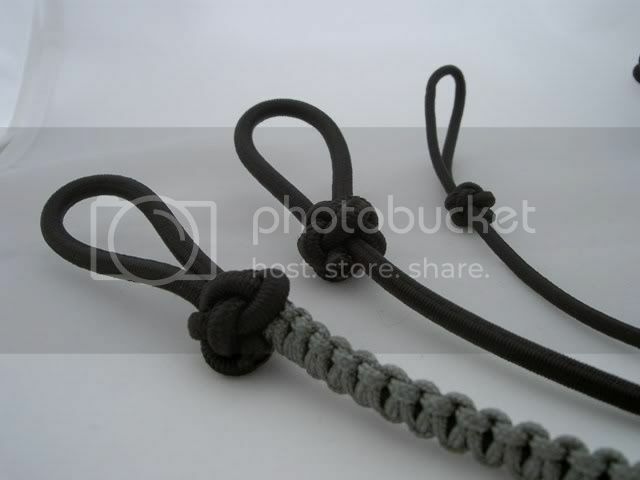 This is the thicker mil-spec shockcord with no outer stitching, it can stretch to 90-110% its normal length. 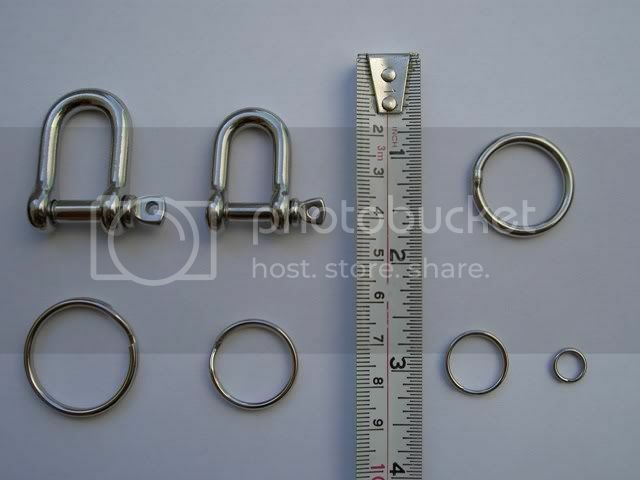 The following pictures illustraite the different types of clips and clasps that can be used with the shockcord. All the shockcord I use is genuine US military issue. - Manufactured by a current US Military Contractor. AISI is the American Iron & Steel Institute, the steel is rated Type 316. This type 316 steel is used for surgical uses and is also known as "marine grade" stainless steel due to its increased ability to resist saltwater corrosion.